Plastic Miniware encompasses small cups, shot glasses, utensils, plates, and bowls appetizers and desserts at catering weddings and parties. Plastic Miniware comes in small sizes including 1 oz cups, 2 oz cups, 5 oz bowls, and tiny 5 inch plates. Miniware are stylish serving pieces for stand-up parties, walking appetizers, dessert bars or any event featuring small portions. With the widest variety in mini plastic plates, trays, shooters, and stemmed glasses at your finger tips, you are bound to get creative and serve up a memorable presentation at your party! Our catering Miniware products can be used for catering weddings, banquets, parties or for your everyday restaurant supplies. 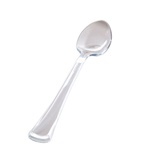 EMI Yoshi Small Wonders Plastic Mini Spoon Clear - 4 in. 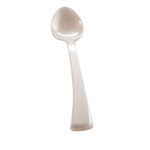 EMI Yoshi Small Wonders Plastic Mini Spoon Pearlized White - 4 in. 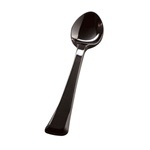 EMI Yoshi Small Wonders Plastic Mini Spoon Black - 4 in. 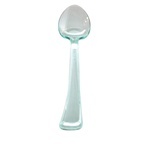 EMI Yoshi Small Wonders Plastic Mini Spoon Ocean Blue - 4 in. 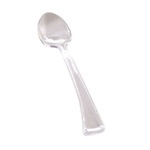 EMI Yoshi Small Wonders Plastic Mini Spoon Sea Grean - 4 in. 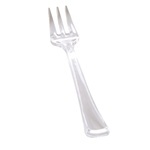 EMI Yoshi Small Wonders Plastic Mini Fork Pearlized White - 4 in. 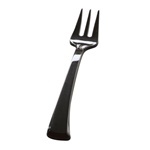 EMI Yoshi Small Wonders Plastic Mini Forks Black - 4 in. 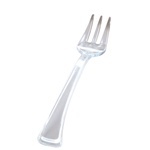 EMI Yoshi Small Wonders Plastic Mini Fork Ocean Blue - 4 in. 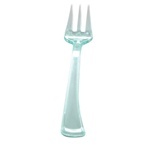 EMI Yoshi Small Wonders Plastic Mini Fork Sea Grean - 4 in. Clear Scrollware Square Catering Tray 5 in. x 5 in. 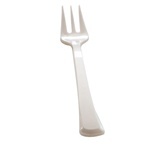 Disposable Plastic Miniwares at wholesale prices from the leader in restaurant supply. 1 oz shot cups, 2 oz martini glasses and more small stuff for appetizers and cocktails. If your catering company is looking for some disposable Plastic Miniware pieces at wholesale prices , then look no further. And the best part about this stuff is that you don't have to wash it or worry about breakage.